I promised curly hair product reviews, and curly hair product review you shall have! 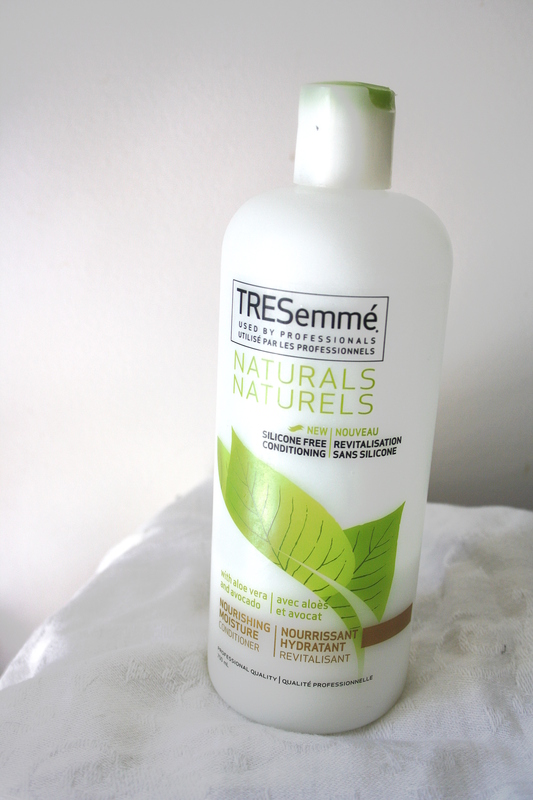 First up is Tresemmé Naturals Nourishing Moisture conditioner. This line also has a Radiant Volume Conditioner, and a Vibrantly Smooth Conditioner; however, I tend to pick whichever promises to bring the most moisture to my hair. Be warned, this Naturals line also has shampoos, that tout themselves as low sulphate. While this may work for some people, I only use NO sulphate, as any amount of sulphates can be very drying for my curls. 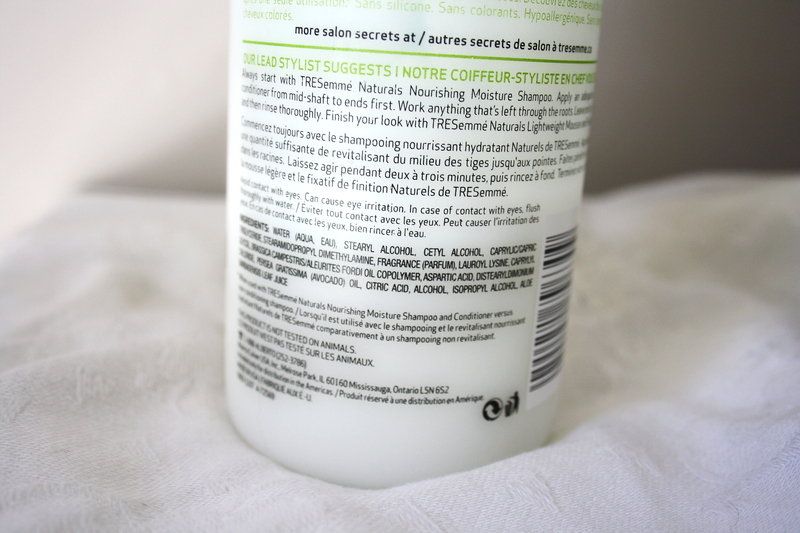 If we read the ingredient list on the Nourishing Moisture conditioner bottle, we can see that there are no silicones of any type (for a more extensive explanation of silicones, check out this extremely informative article). That makes me happy, and tells me that I can use it on my lovely locks! The ingredients are difficult to read…but I guess this could be a topic for a whole other post…. Now, I picked this one from my extensive and ever-growing pile of products because it has become a staple in my hair’s diet. This is a fantastic conditioner to use if you’re just starting out with the Curly Girl Method, as it smells nice (sometimes botanical conditioners can smell a little…weird), is fairly inexpensive (under $10 for a large bottle), and isn’t too heavy. I would highly recommend it to my friends who have finer, looser curls, as it doesn’t weigh hair down but leaves you with a nice, lightweight moisture that lasts days. My only issue with this conditioner is that, come winter, it will probably not be moisturizing enough for my hair. That being said, my hair drinks like a fish, so it would probably be acceptable for most people. FYI….Over the last month I’ve noticed the packaging for Tresemme Naturals Moisturizing Conditioner has slightly changed, it also appears they have changed the formula as well…..Sad to say it is not near as good…. Oh no! I’m so sorry to hear that. Back to the drawing board! Thanks for posting this Jess!! I bought the Yes to Carrots conditioner and have been using it, but I might buy this one too and see if there is a difference. Try the Yes to Carrots first. It’s a little more moisture-intensive, and some people don’t love the scent, but it’s definitely my go-to once dry winter weather starts creeping in. Great Tip!!!! Have you tried Aveda too? I tried using it and it worked well, but the price tag was alittle much, this one I think I can stick to and it will help! Ill be posting a product review about the Aveda today or tomorrow! 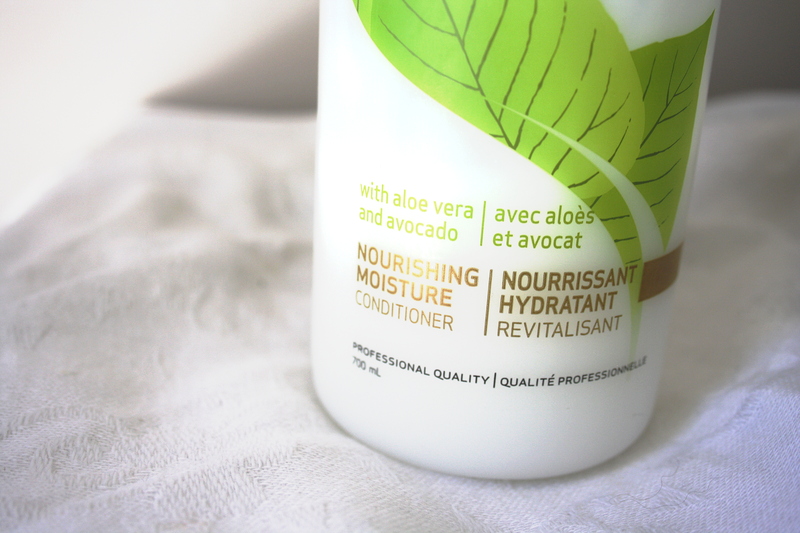 You know what, I’ve actually never tried Aveda (maybe in part due to the price tag…lol). I’ll definitely check out the review tomorrow!